From a plush pink elephant to a whimsical patchwork hobby horse to a cuddly ballerina doll, "Toys to Sew" boasts an enchanting collection of fabric toys that is sure to gather smiles from people of all ages. The projects use basic sewing and embroidery skills, and range from very simple to the slightly more complex. Whether it's a patchwork crocodile, a family of friendly hares or a pirate doll playmate, each of these projects are designed to inspire. All the instructions are clearly explained, with a useful list of the materials and equipment required at the start of each project. The pattern templates for fabric cutting are also included, as well as tip boxes giving handy hints to save time, or suggesting alternative ideas for embellishments. If you want to make a unique gift for the child in your life, Claire's inspirational patterns will make you want to pick up your needle and start sewing. 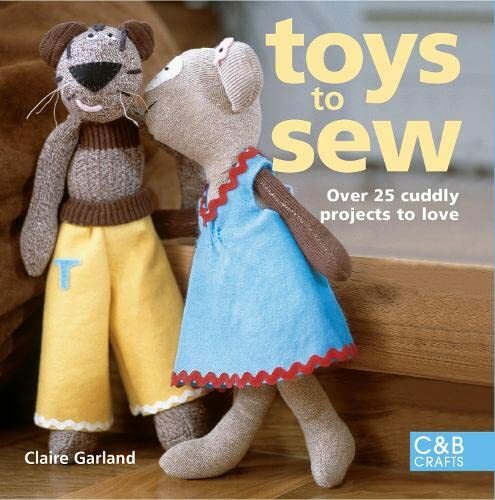 "Toys to Sew" is the companion volume to "Toys to Knit", which includes a range of desirable projects to knit from Rowan knitting consultant Tracy Chapman. Featuring original patterns to stitch an exciting variety of children's soft toys, this book also contains sewing and embroidery projects for stitchers of all abilities. It contains projects suitable for babies and children up to 6 years, and step-by-step instructions and templates for all the designs. Any child would love to have one of the enchanting fabric toys in this exciting new book of sewing projects. Claire Garland has designed a range of easy-to-make, colourful and cuddly friends, suitable for children from 0-6 years old. The great toys in this book range from smiley dinosaurs, including a baby and its egg, to a fun and funky rag doll, complete with her own smart wardrobe of fashionable clothes. The projects use basic sewing and embroidery skills, and range from very simple to the slightly more complex. All the instructions are clearly explained, with a useful list of the materials and equipment required at the start of each project. The pattern templates for fabric cutting are also included, as well as tip boxes giving handy hints to save time, or suggesting alternative ideas for embellishments. If you want to make a unique gift for the child in your life, Claire's inspirational patterns will make you want to pick up your needle and start sewing. 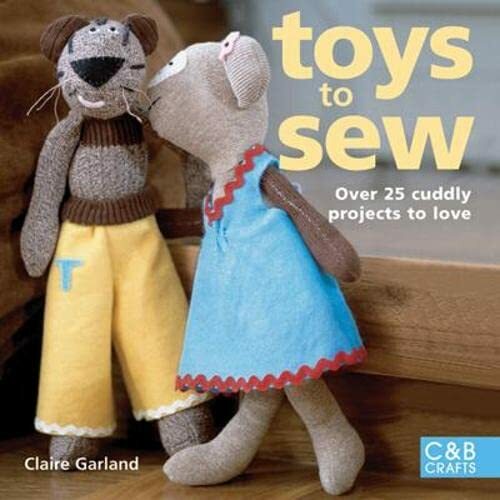 "Toys to Sew" is the companion volume to "Toys to Knit", which includes a range of desirable projects to knit from Rowan knitting consultant Tracy Chapman. Claire Garland is an exciting new designer who specialises in sewn items for children. She has designed several kits for tapestry companies, but her three young children have inspired many of the projects featured in this book. Claire lives in Cardiff.